Sensors based on binary metal oxide nanocomposites are sensitive enough to identify terrorist threats and detect environmental pollutants. Due to rapid industrial growth and the degradation of the environment, there is a growing need for the development of highly effective and selective sensors for pollutant detection. In addition, gas sensors could also end up used to monitor potential terrorist threats. “Choosing the right sensor composition can make a device at least ten times more effective and enable an exceptionally fast response, which is crucial for preventing terrorist attacks,” said Prof. Leonid Trakhtenberg of the Department of Molecular and Chemical Physics at Moscow Institute of Physics and Technology (MIPT), who is the leader of the research team and the head of the Laboratory of Functional Nanocomposites at Semenov Institute of Chemical Physics of the Russian Academy of Sciences (ICP RAS). 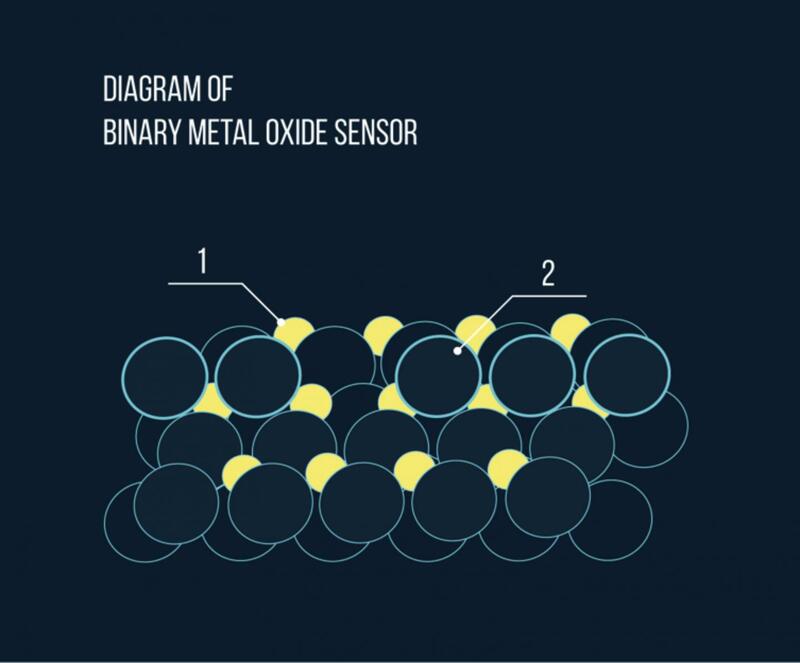 The most promising detection systems are binary metal oxide sensors, in which one component provides a high density of conductive electrons and another is a strong catalyst, according to Trakhtenberg’s research. “We are planning further research into the possibilities for sensor design presented by the multicomponent metal oxide nanocomposites incorporating nanofibers. The development of new effective sensor compositions will be based on a reasonably balanced approach involving both the experimental tests and the advancement of our theoretical understanding of the sensing mechanisms,” Trakhtenberg said. A promising approach to the development of new gas detection systems is the use of “core-shell type” composite metal oxide nanofibers, where the “core” and the “shell” consist of two different oxides.